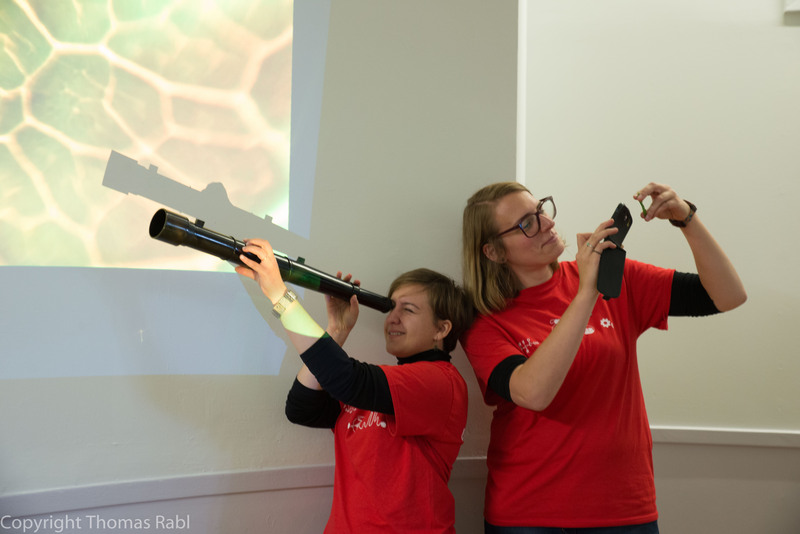 PHOQUS PhD student Valerie Bentivegna, based in the Nathke lab, has been chosen to take part in the 2016 Soapbox Science challenge in Edinburgh. She will join 15 other female scientists from across Scotland who have been selected to take part in the event, which is being held on the 24th of July on the Galleries precinct (The Mound) in Edinburgh. Getting on her soapbox, Valerie will be talking about how she combines different disciplines, including physics, engineering and biology - to "feel", "see" and "hear" the mechanical properties of colorectal cancer. Soapbox Science is a public outreach event to promote women scientists and the science they do. Events are held across the UK, where public areas are transformed to provide a space for public learning and scientific debate.